Get your clicking fingers ready, because Motorola has thrown the switch on its Try Then Buy deal. 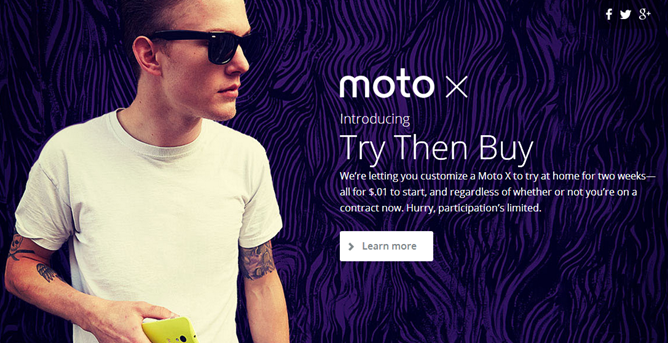 For 24 hours, you can design a Moto X and have it shipped to you for a two week trial run. You can even get one of those brand spanking new 64GB devices with the trial. Update: The promo codes allotted for the Try Then Buy program are all gone. Apparently people really like paying $0.01 to try a phone for two weeks. The trial promotion is pretty simple – you design the phone and pay $0.01 to have it shipped. You get to use it for 14 days with no strings attached. It can be returned at any time, or you can keep it and pay the agreed upon price. You also get a 30% off promo code to buy accessories if you keep it. Note: return shipping is free. The necessary promo codes are available at the link below. 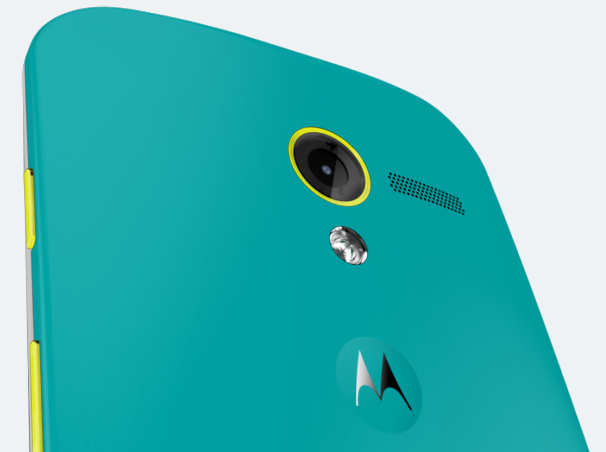 The Moto Maker 16GB Moto X is still going for $399.99 on most carriers (Republic Wireless is $50 less). It's $449.99 for the 32GB, and the new 64GB is $499.99. 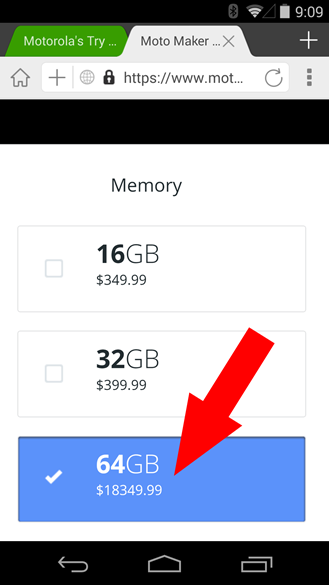 Note that Verizon is not offering a 64GB model right now (or possibly ever). The Developer edition phones for Verizon and GSM networks ($449.99) are also part of the Try Then Buy deal, but still only have 32GB of storage.